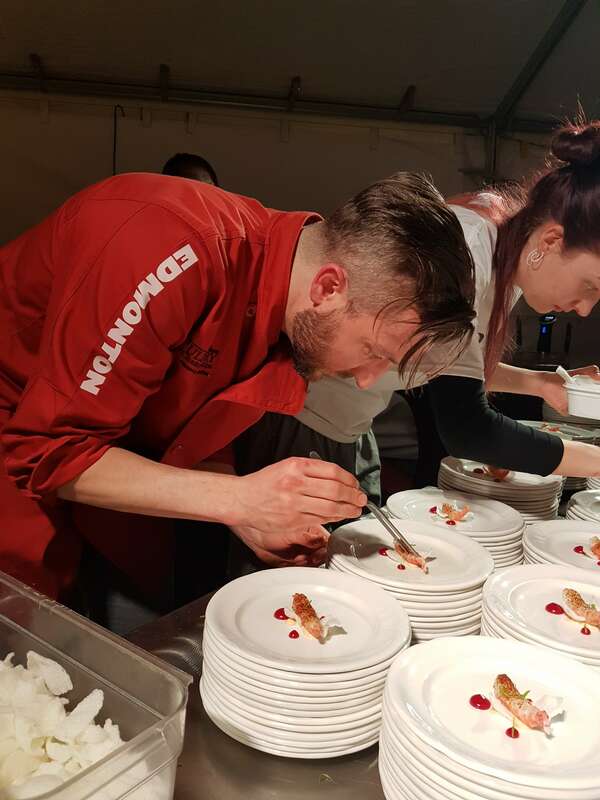 The 13-city Gold Medal Plates culimating in Kelowna in February showcased some of the country’s top chefs and their choice for wine pairings. “The interesting thing is what a big effect wine and food can have on each other. 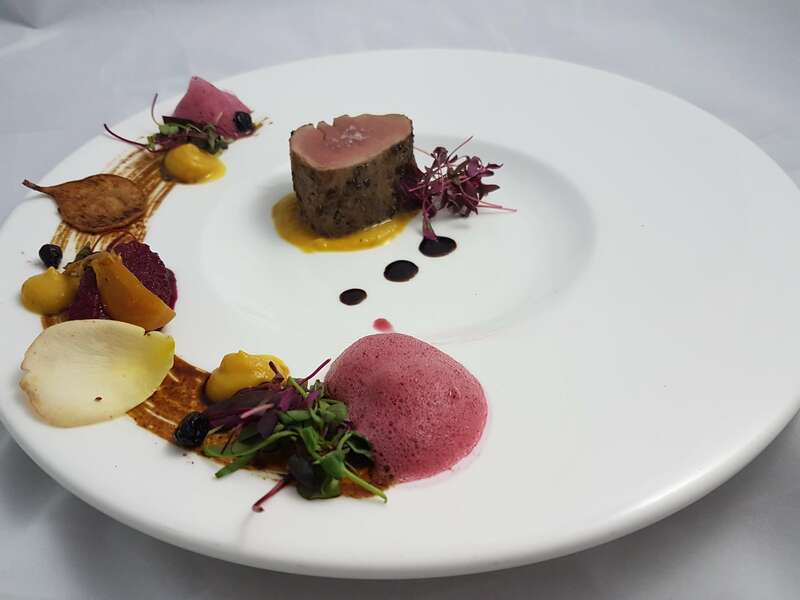 Elements of the wine like high acidity can have a big effect on the nose, and things like spice and heat,” says Rhys Pender, a Master of Wine who judged the culinary championship wines. “In Canada we have an acid struc- ture and lower alcohol that is more similar to Europe, but the winemaking style is all about fruit, so that’s new world. Really, we have a hybrid style,” says fellow judge David Lawrason. 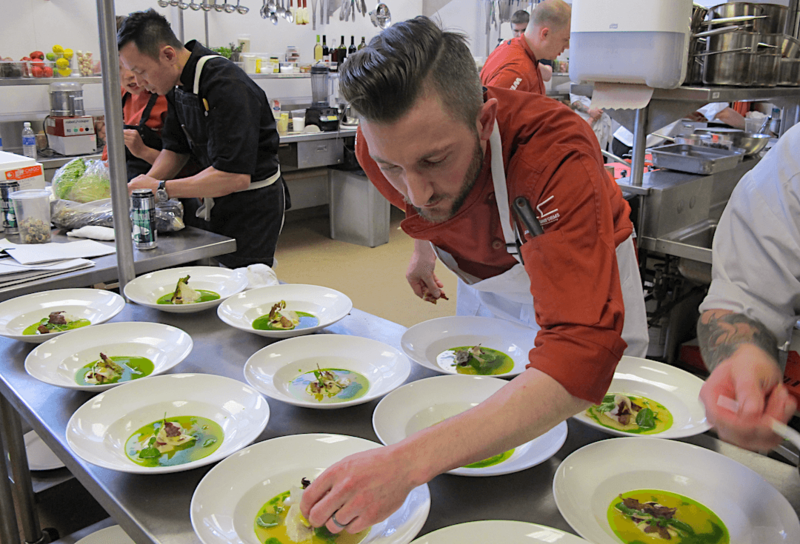 Okanagan Riesling and Gewürztraminer were top choices among the competing chefs as were the region’s reds. 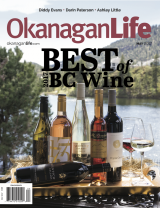 Syrah is doing very well in the Okanagan, where winemakers show a cool climate expression of the grape. “Syrah can become very jammy and very blackberry, but in a cooler climate like we have here, you tend to get this meatiness and more floral notes of blueberry. The key thing with Syrah is this black pepper note that you get so it has a little bit of spiciness and meatiness that can pair well with savoury dishes,” says Pender. Dishes with meaty, earthy savour flavours tend to do very with a BC Syrah. For a dish with mushrooms, the chefs choose Pinot Noir. The Dish: Vietnamese Cha Ca La Vong, citrus-cured salmon and sable fi sh rolled in turmeric butter with a beignet of charred taro and chive fi lled with crab meat. 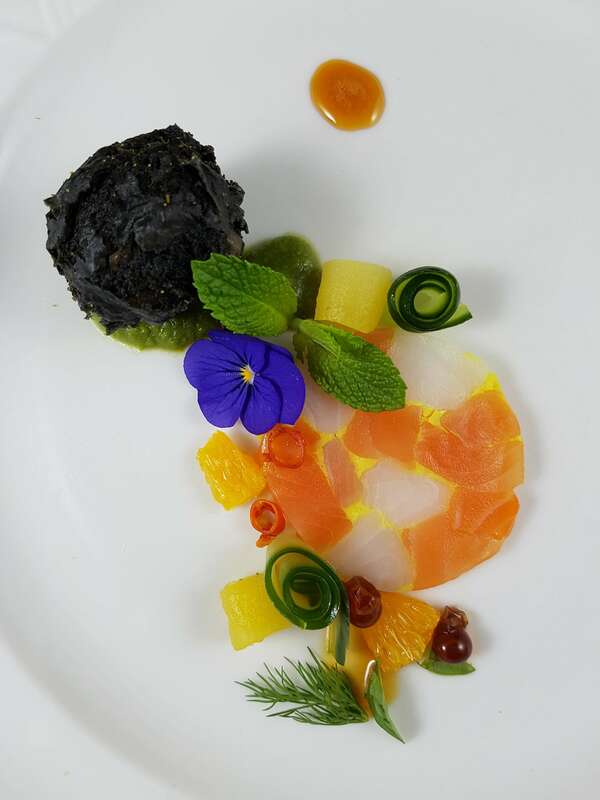 Th e stunning garnishes and fl avour notes: minced chili, cucumber spirals, fresh diced mango; segments of fresh orange, gelled dashi broth; edible fl owers and fresh mint and dill leaves. The Dish: Pacific spot prawn poached and presented on brown butter and a crunchy meringue of peaches. Plum was a key flavour with both a ginger-infused plum purée, made from fermented Japanense umeboshi plums, and a sprinkling of dehydrated plum. The Wine: Culmina 2015 Unicus Grüner Veltliner, Oliver. Latin for “incomparable” or “only,” Unicus represents the Okanagan Valley’s first release of Grüner Veltliner. This white wine grape variety, grown primarily in Austria, Slovakia and the Czech Republic, offers white pepper and grapefruit flavours; Best of Show (Calgary). 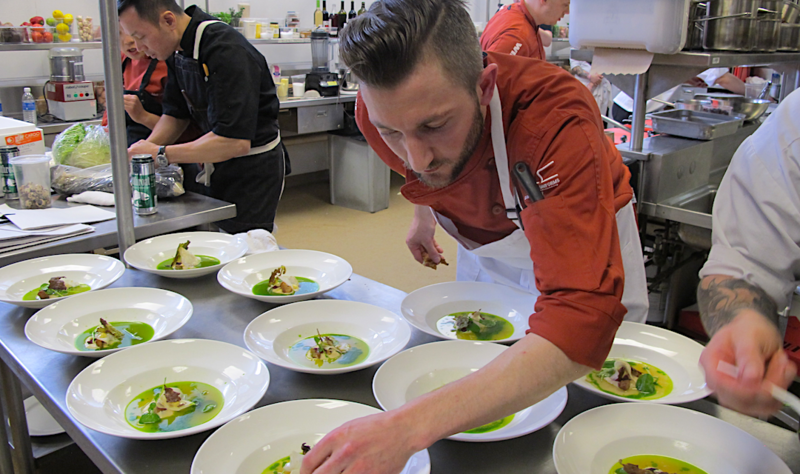 For his Edmonton Gold Medal win, Chef Eric paired his prawn dish with Summerhill 2014 Ehrenfelser. The Dish: Smoked wild boar tenderloin encrusted with morel mushrooms and sage. Served with a sweet butternut squash velouté, beet purée, dehydrated crabapple chips, rhubarb gastrique and mounds of foam made of Saskatoon berry. Find Chef Thienes Harvest Eatery and Fresh Market in southern Saskatchewan in Shaunavon, not far from the Montana border. 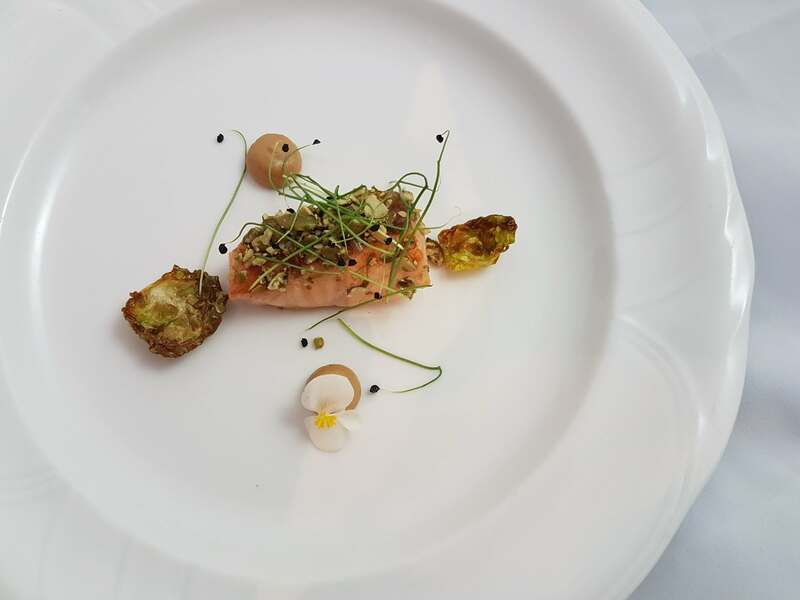 The Dish: Pan-seared salmon encrusted with smoked pumpkin seeds laid on a thick rich, chilled purée of chanterelle mushrooms and celeriac. Presented with two charred brussel sprout leaves and dots of golden buttercup squash miso sauce. Find Chef Doreen Prei at Edmonton Get Cooking at 11050 104 Ave NW.